Posted in Meta on July 4, 2009 at 6:57 pm. I’ve noticed multiple sites hotlinking images I’ve included in posts here. I don’t particularly care if people take images here and use them for other things — often, that’s how I came by them myself — but I do care when they just link the files directly from here instead of hosting them on their own server. If they want to use my bandwidth to power their site, they can help chip in for my hosting fees. 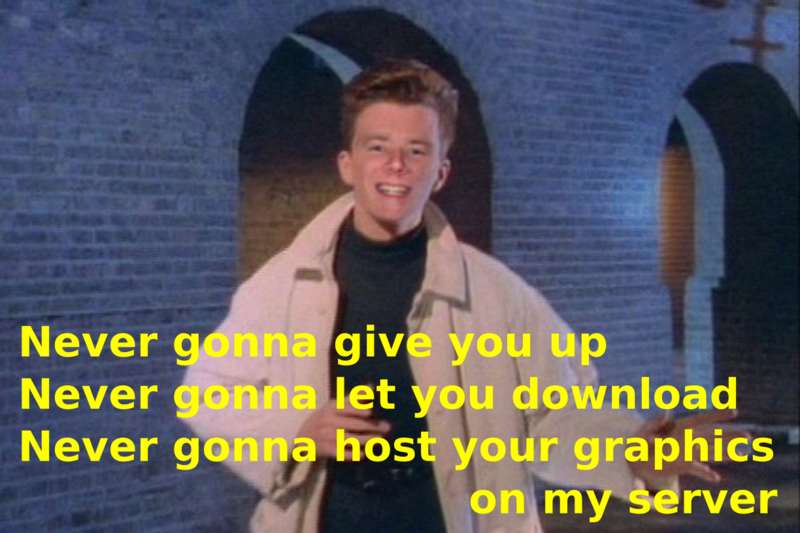 So, from now on, if some other website tries to hotlink images from here, they’ll be getting an image of Rick Astley informing them otherwise. If you notice the change somehow breaking posts on this site, let me know and I’ll fix it at my earliest opportunity. This is quite an elegant solution to the hotlinking problem. I have not noticed any issues on your site. Well played.